(Excerpt from Goodreads) Twenty-something, John Abernathy is disillusioned. His job as a private investigator is unfulfilling, and he can’t find work in his chosen field, Enigmatology, the study and design of puzzles. He is about to quit when the National Enquirer calls. A woman in Las Vegas, New Mexico sent them a photo of someone who’s supposed to have died 35 years ago—Elvis Aaron Presley. And they need John to investigate it. John Abernathy graduated with a degree in enigmatology, specifically the creation and design of crossword puzzles. Unfortunately there really are no practical jobs in his field so he has taken a job as a private investigator and is very unhappy. But when he approached to go to Las Vegas and authenticate a picture of Elvis, things start getting pretty wild. Elvis is really an Elvis impersonator by the name of Al Leadbelly. John’s investigation leads him to Al’s destroyed house along with the first person sent out to authenticate the picture. Now John is in the sights of Alvin Hollister and gets wrapped up in a story full of aliens, shape shifters, Abraham Lincoln, and even his great-great-great grandfather. This story has everything and had me hooked from the very beginning where John is presenting a wife with pictures of her cheating husband and she has the completely opposite reaction. John is clearly unhappy but cannot seem to find his place. But this is a puzzle that us just itching to be solved and will leave you very surprised at the end. If you are looking for a wild mystery I strongly recommend you check out The Enigmatologist. 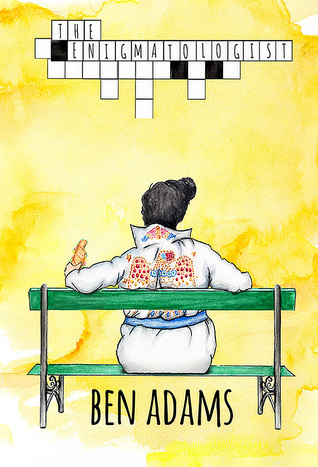 It’s a great story that will have you questioning if Elvis really did die in 1977. To purchase The Enigmatologist make sure to visit Amazon, Barnes and Noble, Goodreads, and Ben Adams website. I received The Enigmatologist for free from Sherri Rosen Publicity in exchange for an honest review.